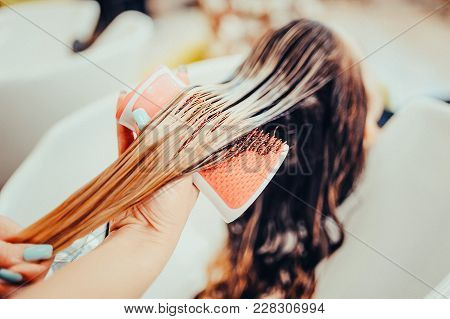 hair › Buy Poster of Combing Of Washed Hair With A Special Comb In The Hairdresser's. Toned Image. Poster of Combing Of Washed Hair With A Special Comb In The Hairdresser's. Toned Image.